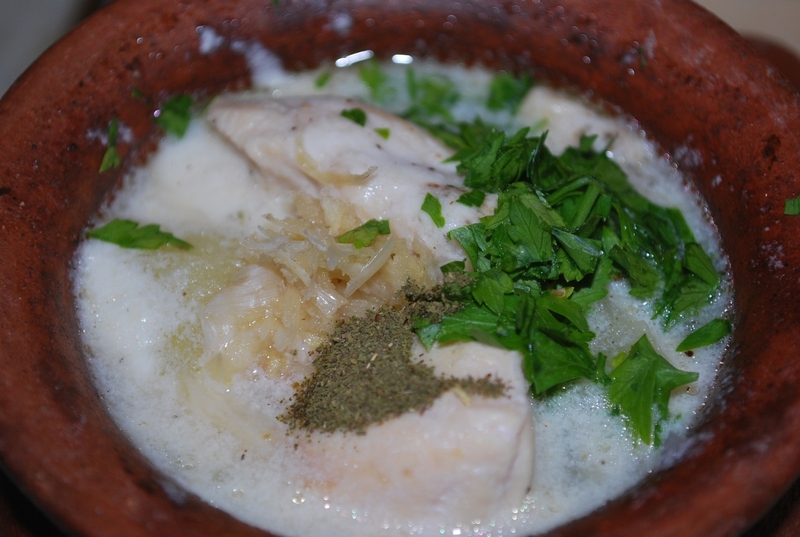 In this recipe from Ossetia we show how to make chicken with sour cream and herbs. 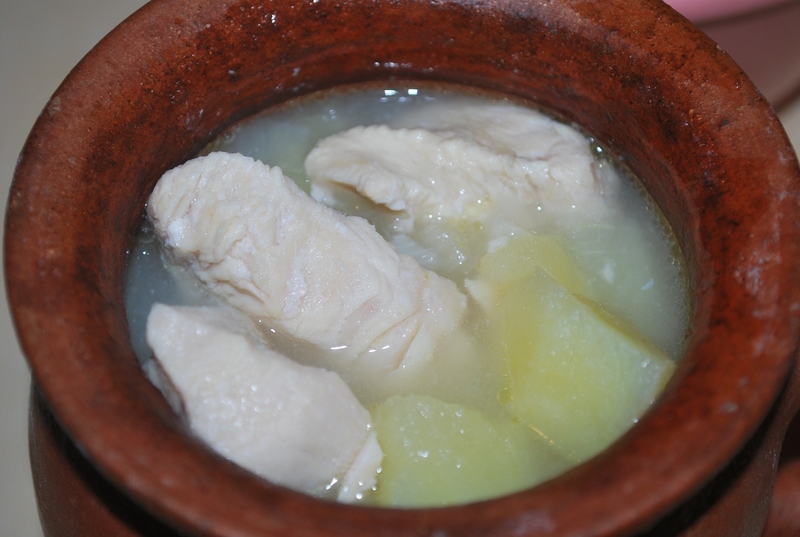 This dish is usually made in a large clay pot, using a whole young chicken. 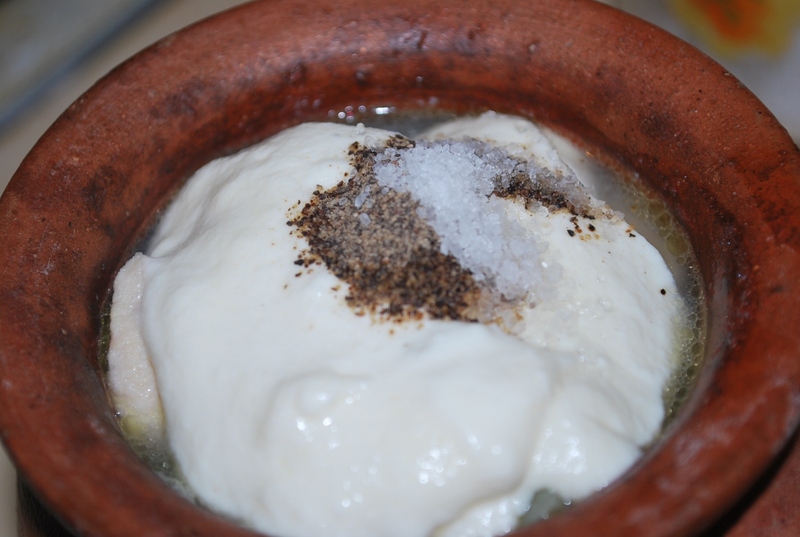 We used a clay pot but the dish can also be made in a pan or in individual small clay pots. We used chicken breasts instead of a whole chicken. 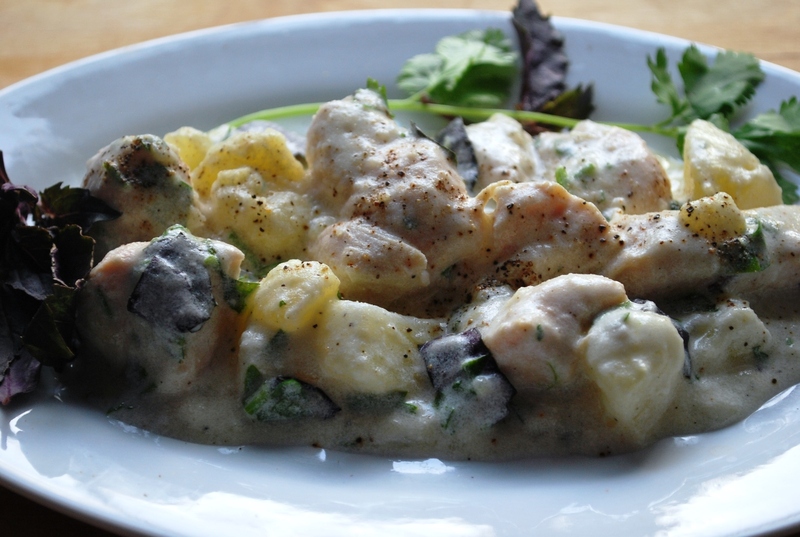 Ingredients (serves 6): 1 kilo of chicken breasts, 500 grams of potatoes, 3 medium sized onions, 300 grams of sour cream, 2 cloves of garlic, 25 grams of fresh green coriander, 20 grams of fresh parsley, 1 level tsp of black pepper, 1 level tsp of summer savory and salt (amount dependent upon personal preference). 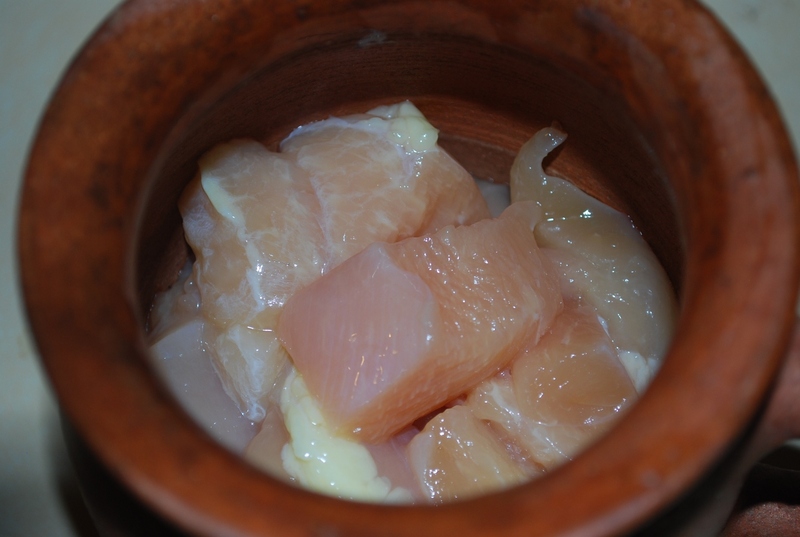 Preparation: Wash and cut the chicken into small to medium sized chunks and add to a large, deep clay pot. 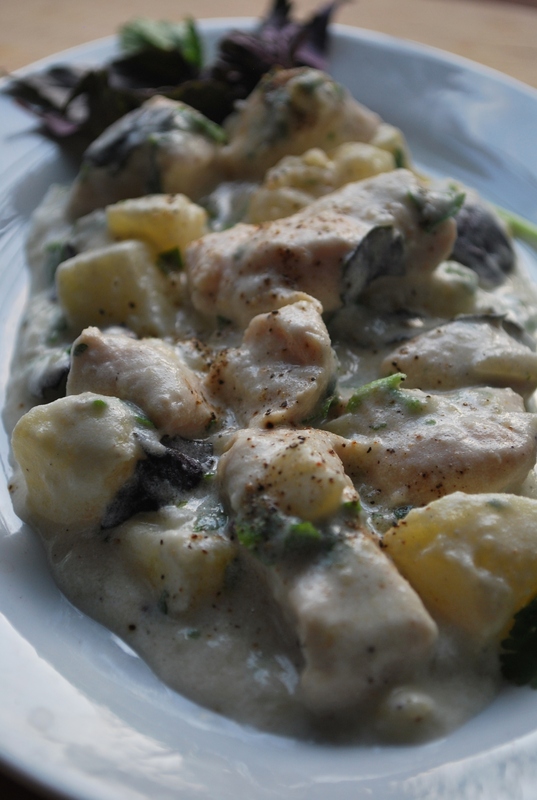 Cut the potatoes into small to medium chunks. 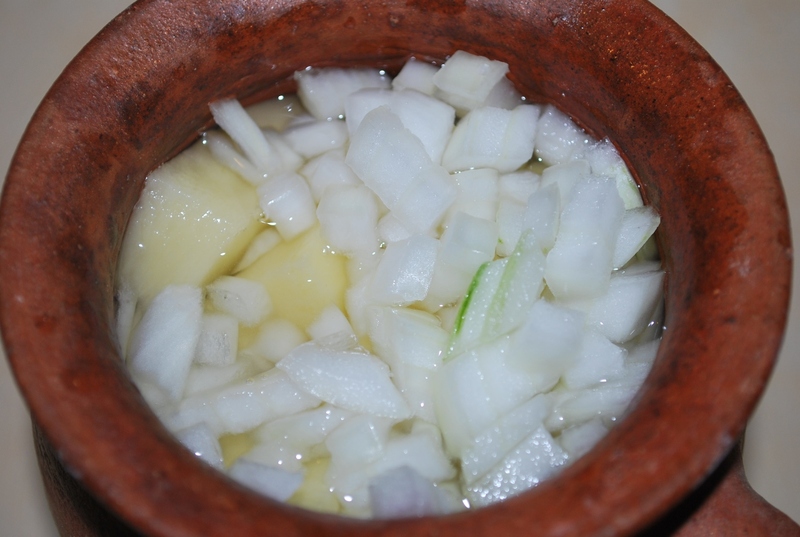 Cut the onions into medium chunks. 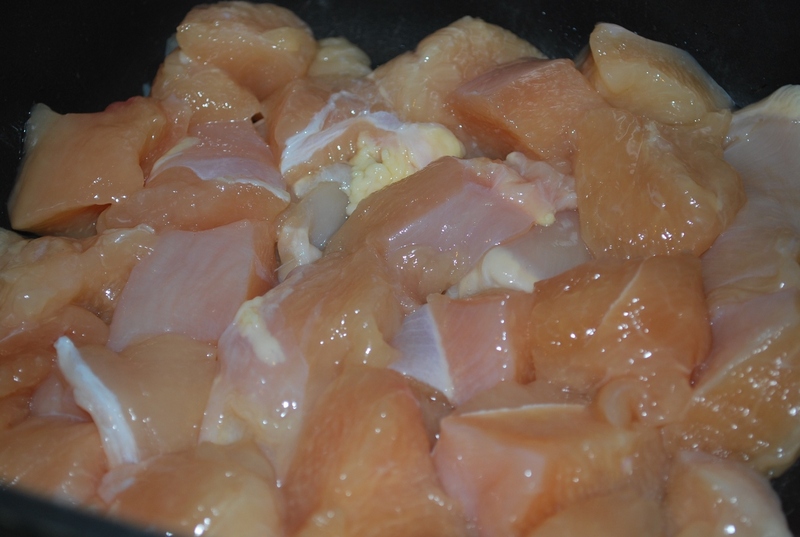 Add the potatoes, onions and 1 liter of water to the chicken. Cook on a low-medium temperature for 30 minutes. Cut the fresh green coriander and crush together with 2 cloves of garlic and salt. 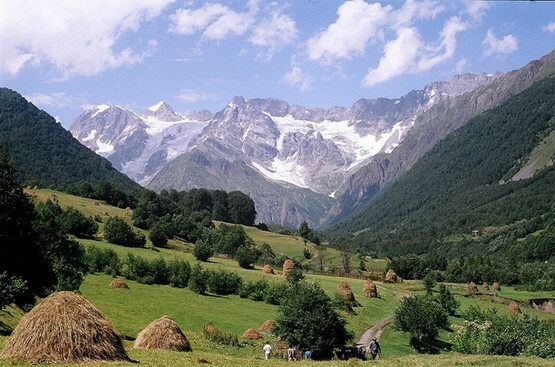 Remove the clay pot from the heat. Add 300 grams of sour cream, 1 level tsp of black pepper, and salt. Stir. Cook for a further 5 minutes on a medium heat. Cut the fresh parsley. Remove the pot from the heat. 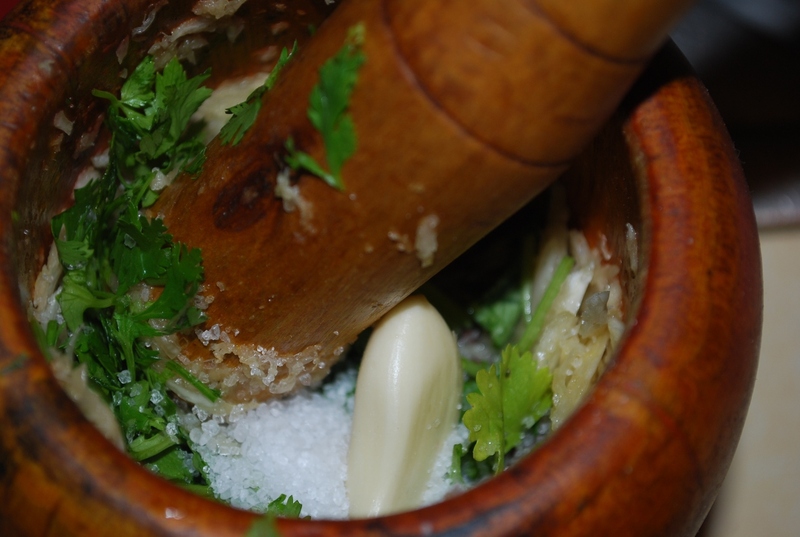 Add the parsley, together with 1 level tsp of summer savory and the crushed garlic and coriander to the pot. Stir and then serve. We garnished ours with basil. 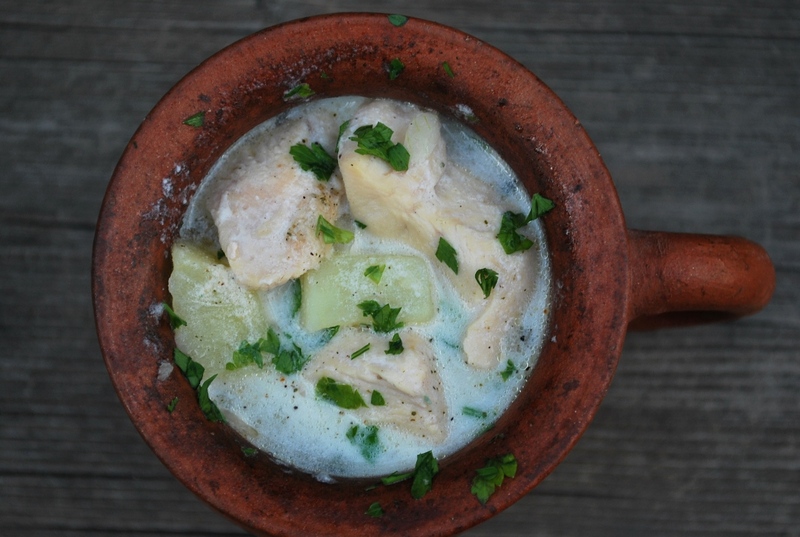 Enjoy your Ossetian Chicken with Sour Cream!